Year 6 @ Crosby Plaza! Whew! After months of hard work, Year 6 have finally completed their SATs. 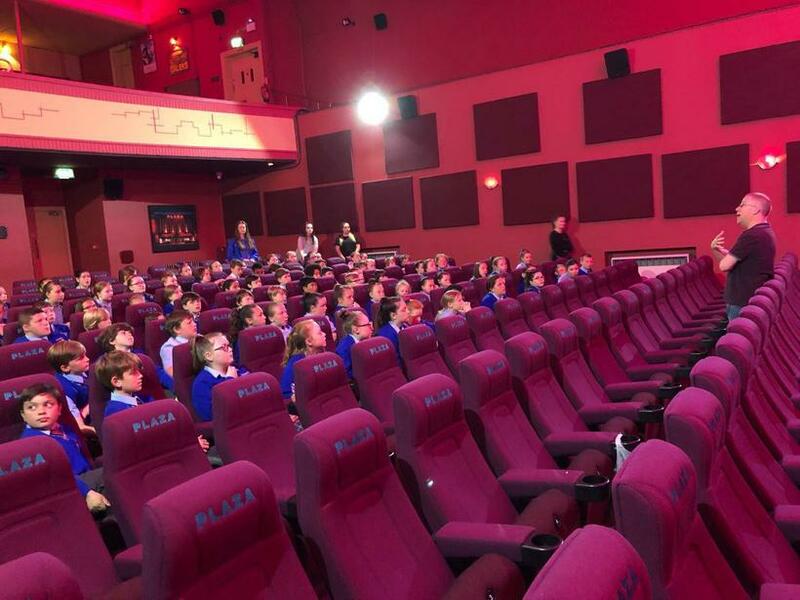 As a reward for their hard-work, determination, resilience and commitment, they visited the Crosby Plaza – a community cinema with a rich history, including having their grand opening ruined by the outbreak of the Second World War! 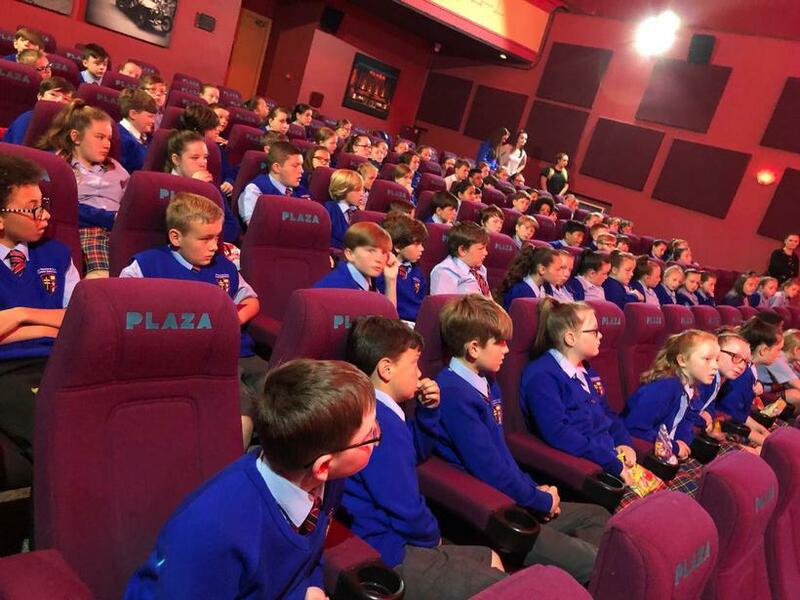 After arriving, Year 6 settled down and were given a brief outline of the cinema’s history by a local volunteer. Shortly after, they settled down to watch Sherlock Gnomes – the much anticipated sequel to Gnomeo & Juliet. 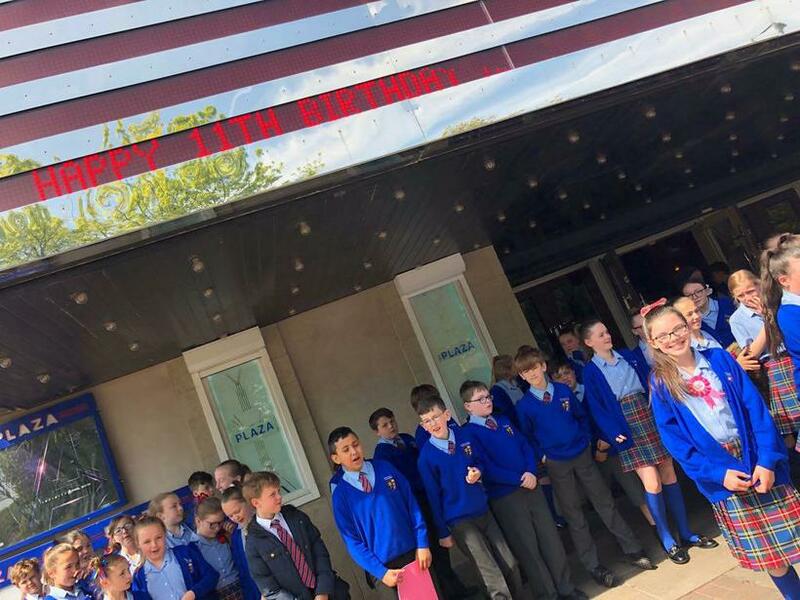 The film was enjoyed by all and there was even a special surprise outside the cinema for one of our pupils, as the staff at the cinema were kind enough to wish Amelia a ‘Happy Birthday’ on the advertising screen outside the cinema! I am so proud of myself and my classmates; we have worked so hard over the last couple of months to ensure that we could give SATs our best effort. It was such a nice surprise to be told that, after finishing our tests, we would be going to Crosby Plaza to watch Sherlock Gnomes! The day after SATs was always going to be good anyway (as it is my birthday! ), but going to the cinema was like an extra present! To prepare, we watched Gnomeo & Juliet on Thursday afternoon. Excited, we journeyed to Crosby Plaza, where we learnt all about the history of the amazing building. The day nearly took a turn for the worse, though - Mr Kennedy said that we were really going to the cinema to watch him do Stand-Up Comedy. Thankfully, that was the only joke that he told that day! After watching the film, I was blown away when we went outside and my name was on the rolling timetable - they were wishing me a Happy Birthday! A perfect end to a week of hard work and dedication. Well done to all of our Year 6 pupils, you should all be extremely proud!